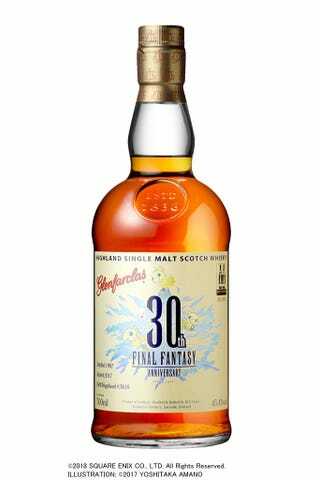 To mark three decades of Final Fantasy, here is an anniversary bottle of Glenfarclas Scotch whisky. Distilled in 1987, when Final Fantasy debuted, it was bottled last year. This release, with the special Final Fantasy label, is limited to only 303 bottles. Yours for 37,000 yen ($335) plus tax.